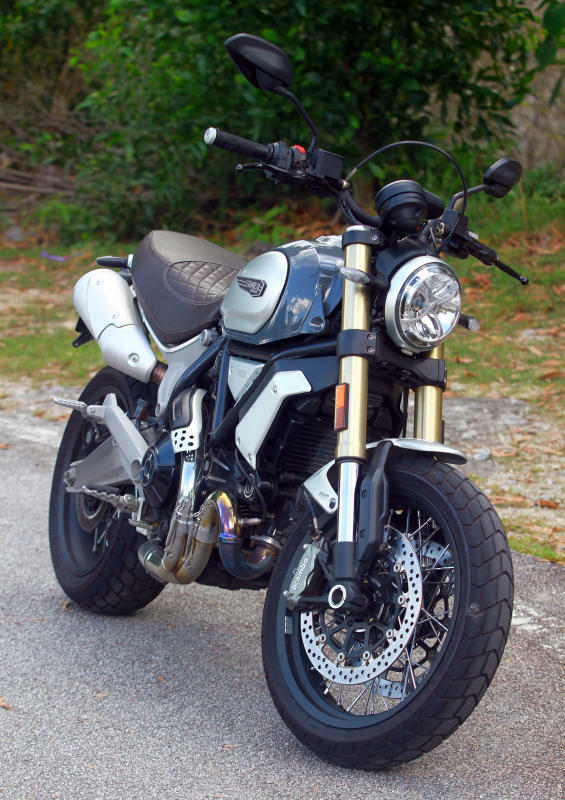 The new Ducati Scrambler 1100 comes in three variants, which are the Standard, Special and Sport. 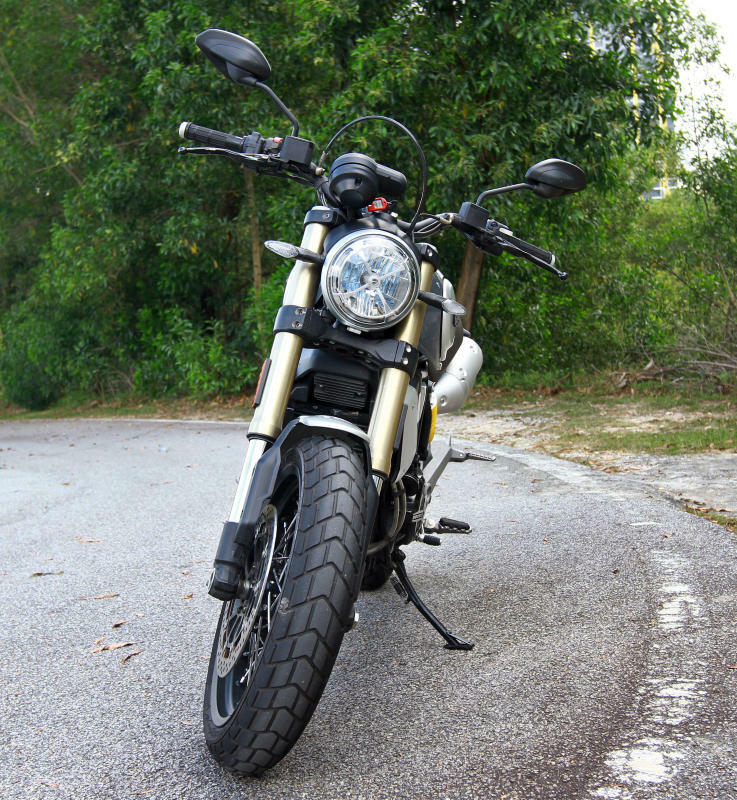 With the Standard model being the base variant, the Special comes with spoked wheels for that retro 'scrambler' look as well as a lower bar, chromed exhaust, brown leather seat and a brushed swing arm. 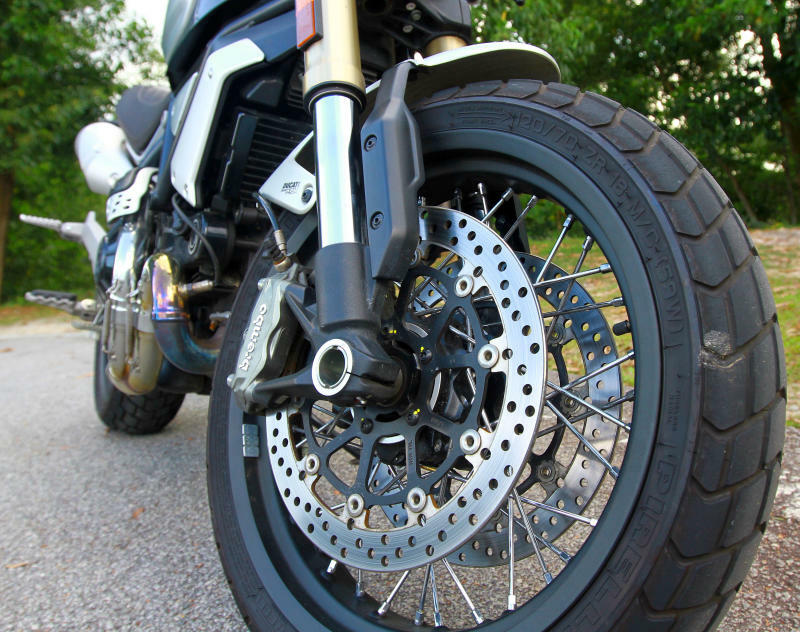 The Sport model has similar wheel design like the Standard model, but the design of spokes has been further enhanced - as was the headlight that was inspired by the tape that Scrambler riders use to stick on their headlight during the Scrambler's heyday. 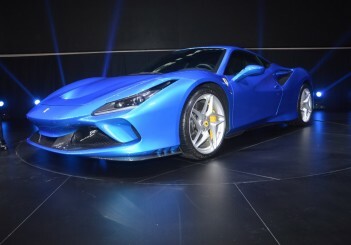 You will be able to see the 'X' in the headlight and at night it looks very retro. 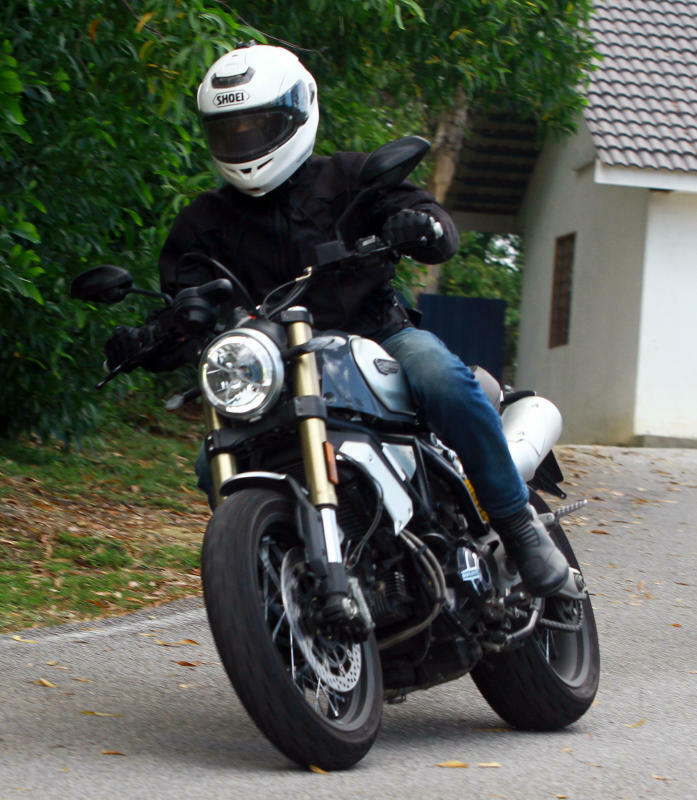 From the day the Scrambler was launched, it was all about lifestyle and riding pleasure. 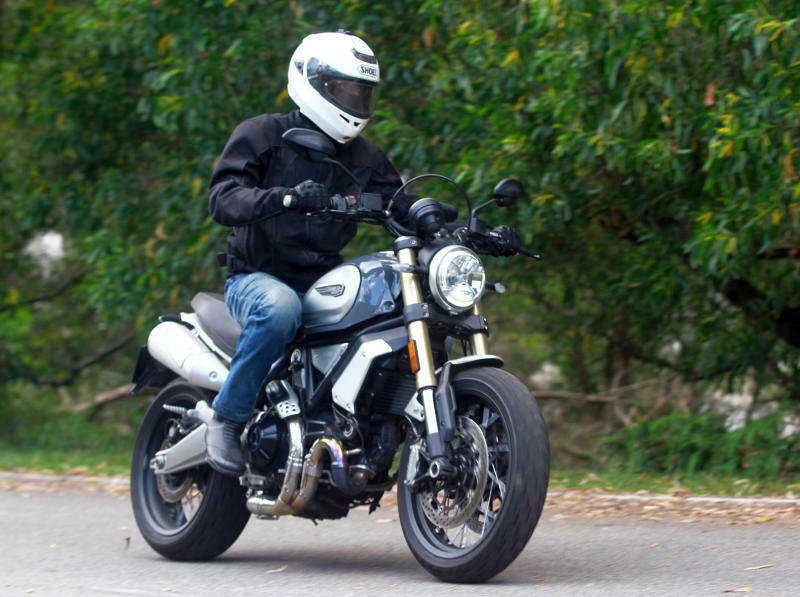 Speed was never part of Scrambler’s narrative and the design of it is similar to the Ducati Scrambler 800. 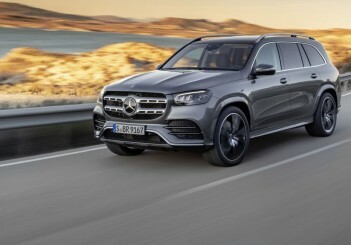 At a glance, onlookers will realise its great finishes. 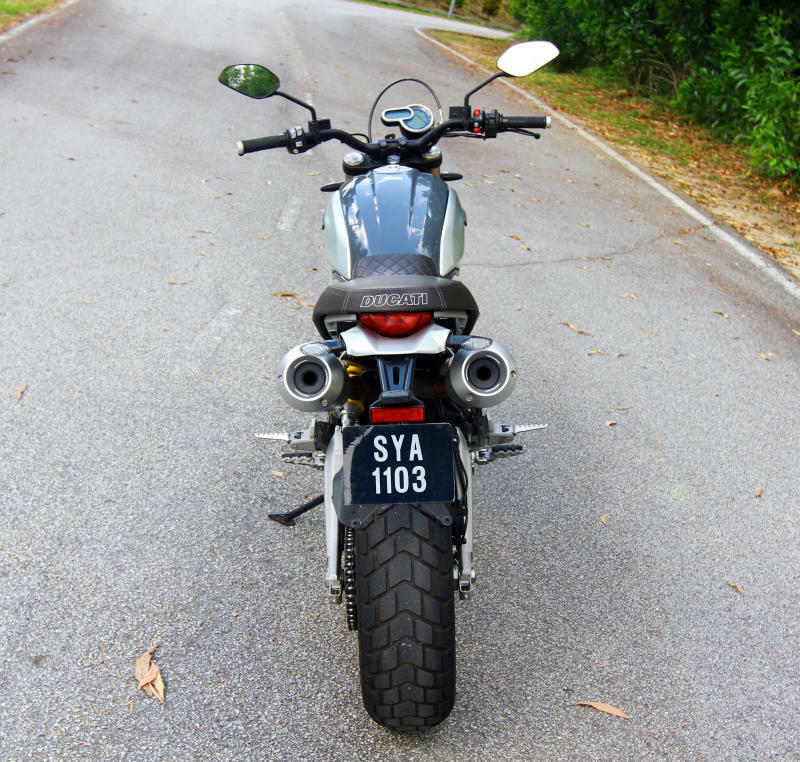 The most obvious one to the naked eye are the black aluminium spoked wheels, 18 at the front and 17 at the rear, an aluminium front/rear mudguard, brown seat, chrome exhaust pipes and gold-coloured anodized fork sleeves. It is also available in ‘Custom Grey’ with a black frame. While riding this bike to Frasers Hill, I realised that the seat was not only comfortable but wide enough for my tiny bottom to move around and helps to ease fatigue. I have no complaints on the ergonomics of this bike. My hands were positioned on the handle bar slightly wider than the knees and were able to mange it without any issues. However, a riding buddy of mine tried it for a good hour and he felt that those with shorter arms might find it bit uncomfortable on a long ride unless the handlebar reaches closer to the riders. 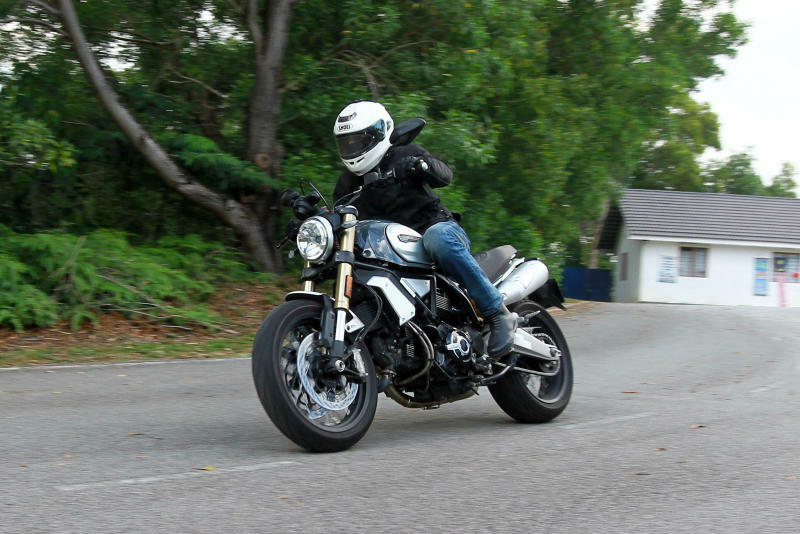 While cruising at above the legal speed limits on highways, the Scrambler 1100 Special does not seem to have a great amount of horsepower and torque that I was looking for. 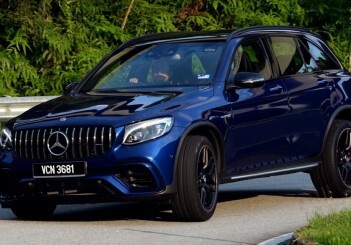 This 1,079cc machine produces 84.5hp at 7,500rpm and 88Nm of torque at 4,750rpm, however, what this machine offers is smooth power delivery that's complemented by a decent amount of torque when needed. 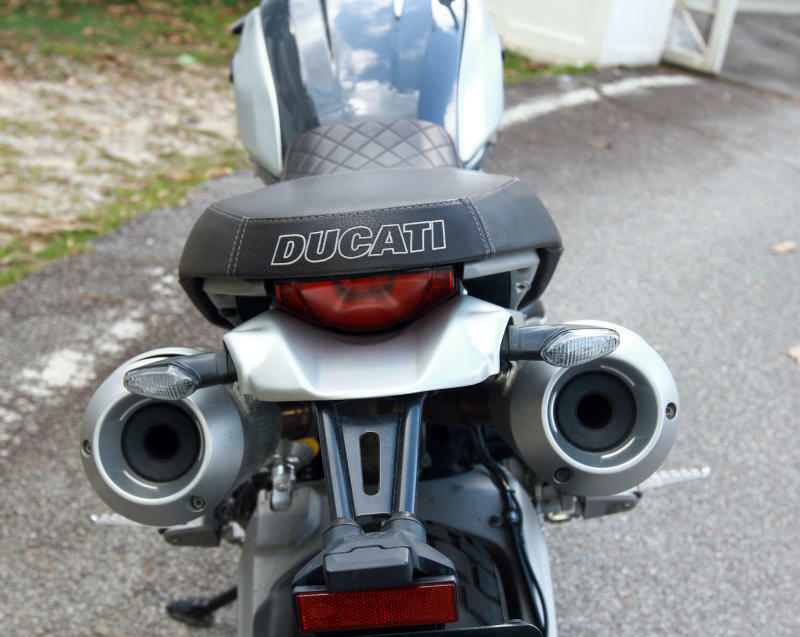 Believe me, the torque was good enough for overtaking a Ducati Diavel for a short bit and at any engine revs, there were no vibrations at all. 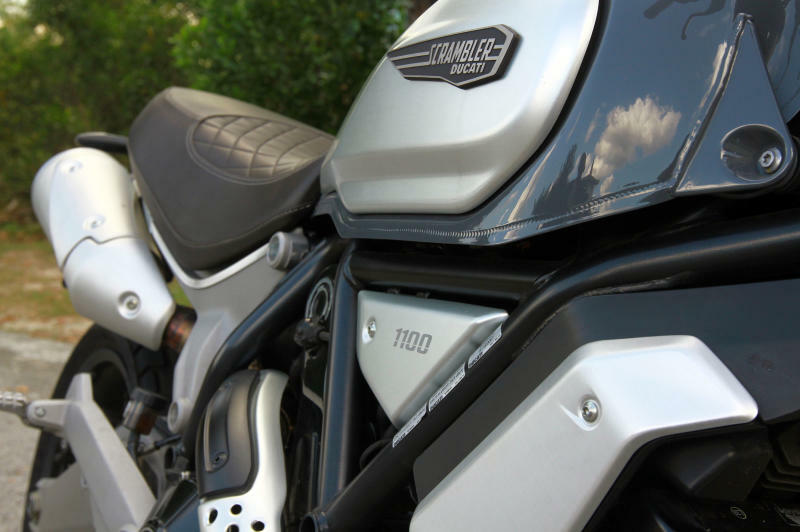 The Scrambler 1100 Special engine was derived from the Ducati Monster 1100 EVO and the engineers at Ducati’s headquarters in Bologna redesigned it to meet the needs of the Scrambler 1100. 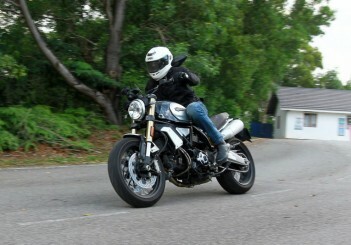 So, the Monster lives in the Scrambler, only everything else is different. 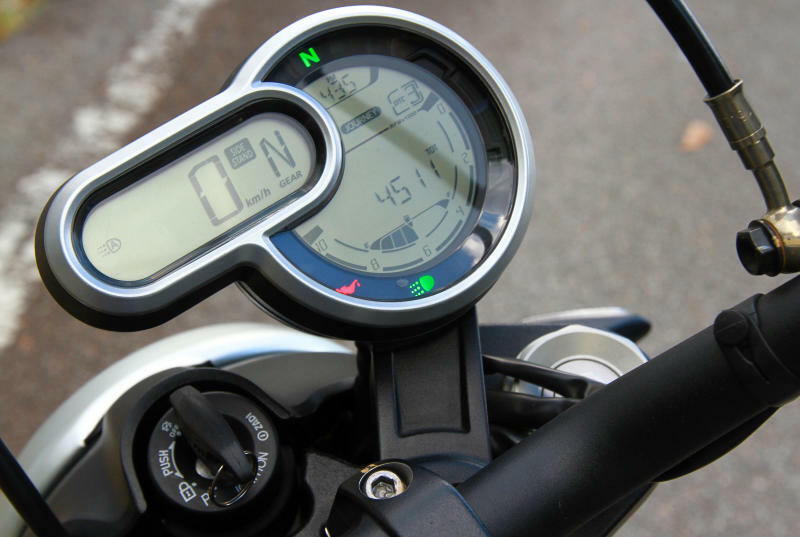 The bike comes with three riding modes which are City, Journey and Active. City offers a smooth and pleasant throttle response which is ideal for a city commute while Journey is programmed for long distance cruising. 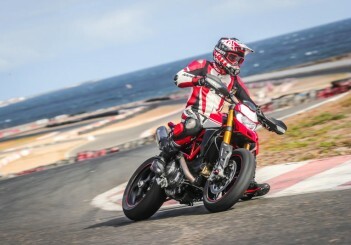 Active unleashes more power with less intrusion from the four-stage Ducati Traction Control (DTC). Before I forget, this bike is simply easy to handle in the worst traffic congestion that I have encountered. I got caught in a heavy rain where I was soaked to the bone. Traffic was crawling and it looked like a huge parking lot. I was able to weave in and out of the traffic by paddling the bike or riding it in first gear. The bike was light enough for me to paddle and at low rpm, it did not stall at all. 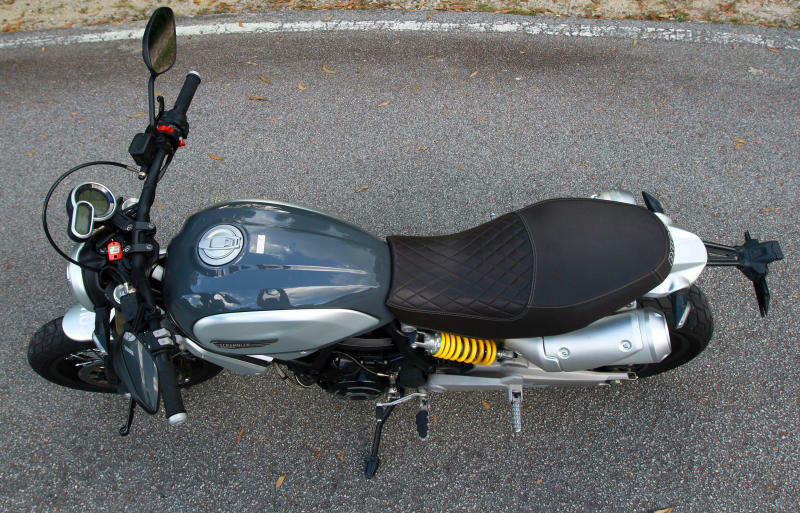 The 810mm brown seat and the high foot pegs allowed me to stand up and look ahead of traffic. 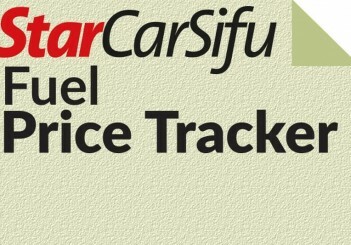 I think I was the envy of all car drivers who were caught in their vehicles - seething with frustration. 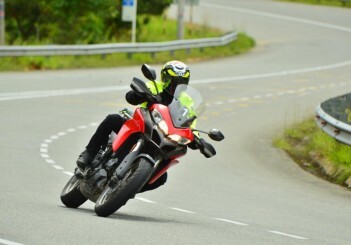 While going up and coming down Frasers Hill, I encountered all sorts of corners and the bike handled it very well. 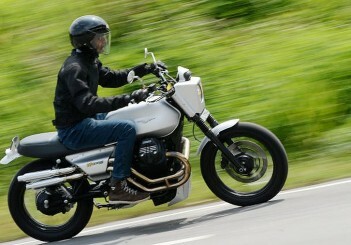 I could flip the bike easily from left to right as the Scrambler 1100 felt light in the hands. This gave me the confidence to tackle all sorts of corners and twists without stressing myself. Meanwhile the chassis of the bike and the suspension allowed me to ride with confidence. Ground clearance was decent due to the high foot pegs, but my only complaint was that the stock suspension was too stiff for my liking. 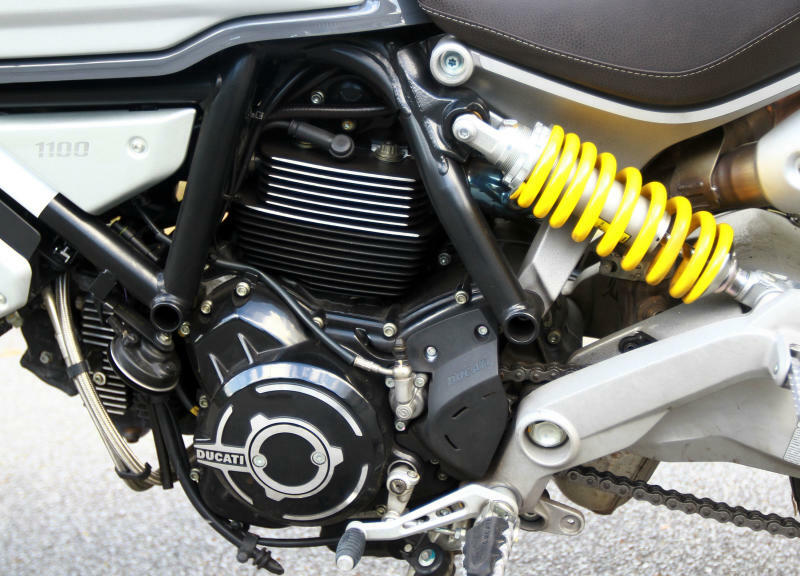 Thus my advice to all owners is to find the right suspension setting that suits their riding style. It will take a few rides before one can find the ideal setting. On few wide and sharp corners, I was able to hold the line without any problems. I am quite sure that the Bosch inertial measurement unit (IMU) was running silently in the background and was partly responsible for keeping me upright. The IMU feeds lean angle information into the algorithms controlling the ABS and Traction Control systems. Meanwhile, I have no complaints about the Brembo brakes and have yet to fail me - be it rain or shine or sudden hard stops or casual braking. 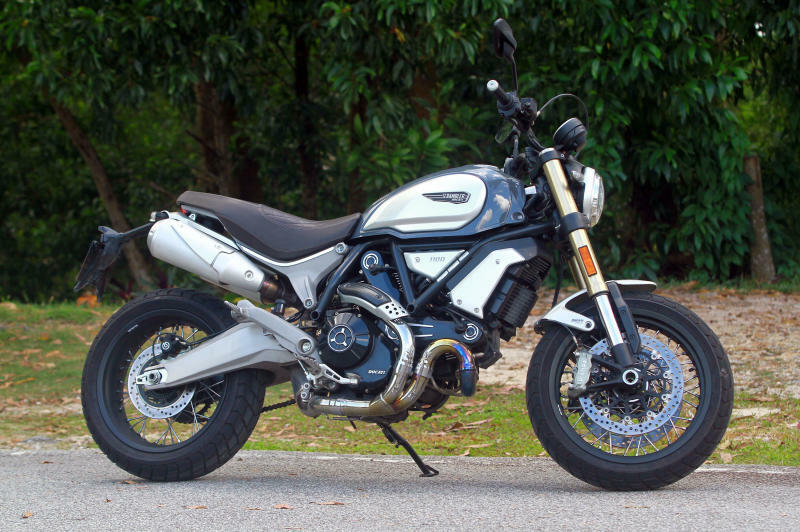 The Scrambler 1100 Special, priced at RM80,746 (before SST), should be recommended to any seasoned or novice riders who seek a cool ride that offers an unforgettable riding experience.